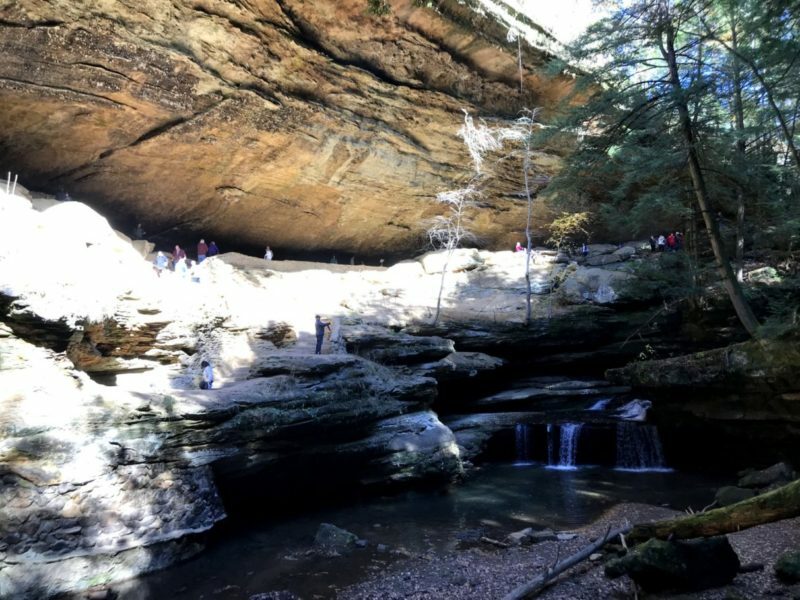 The most popular of all the Hocking areas is Old Man’s Cave. 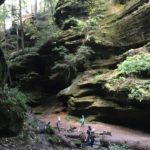 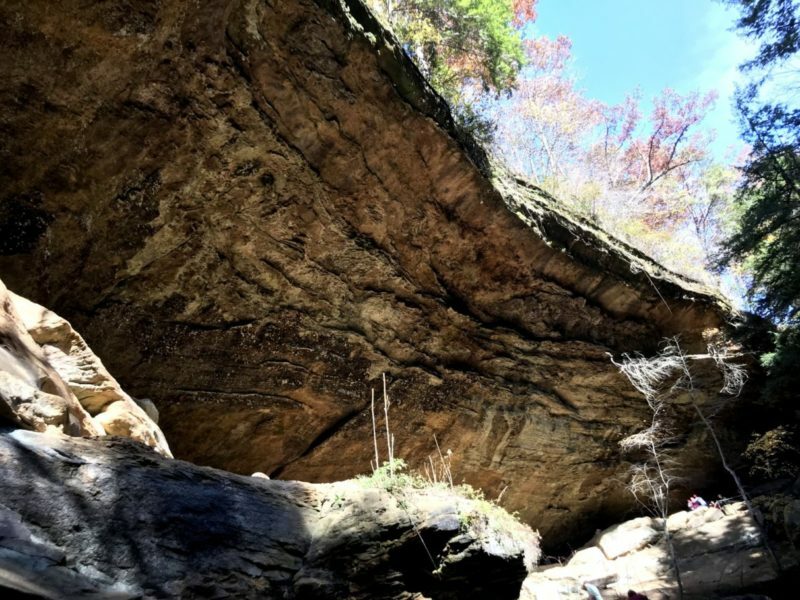 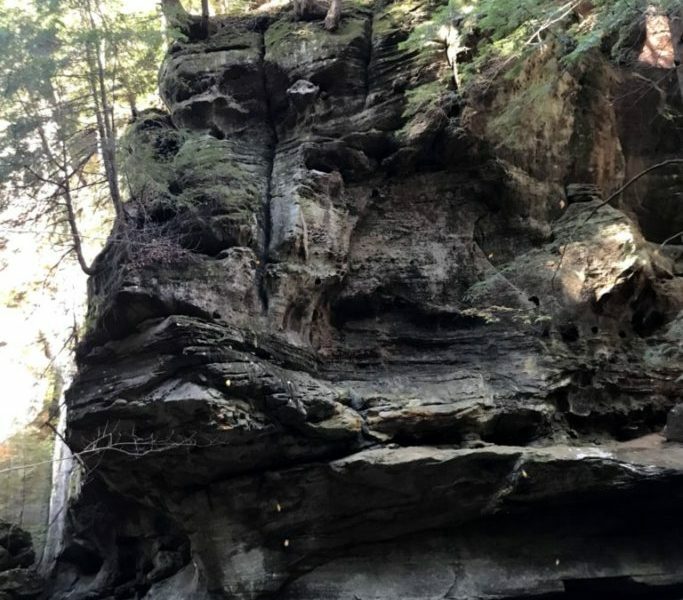 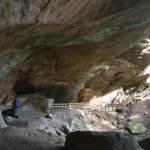 The 1/2mile trail along Old Man’s Cave Gorge is full of beautiful geological features. 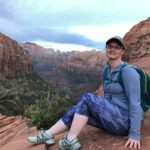 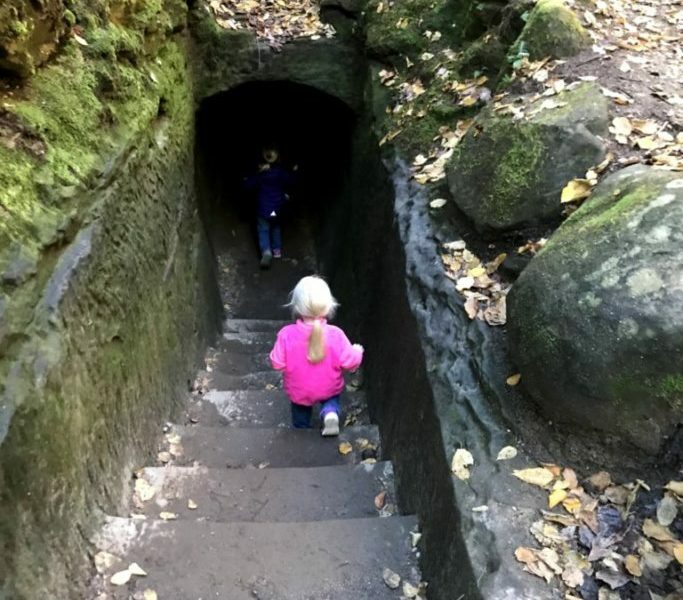 This trail is an advanced trail for families due to the number of stairs throughout the gorge, but don’t let that stop you from seeing this amazing site. 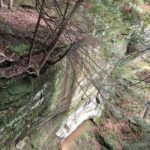 The trail begins at Upper Falls, and follows back and forth over bridges and along the gorge creek. 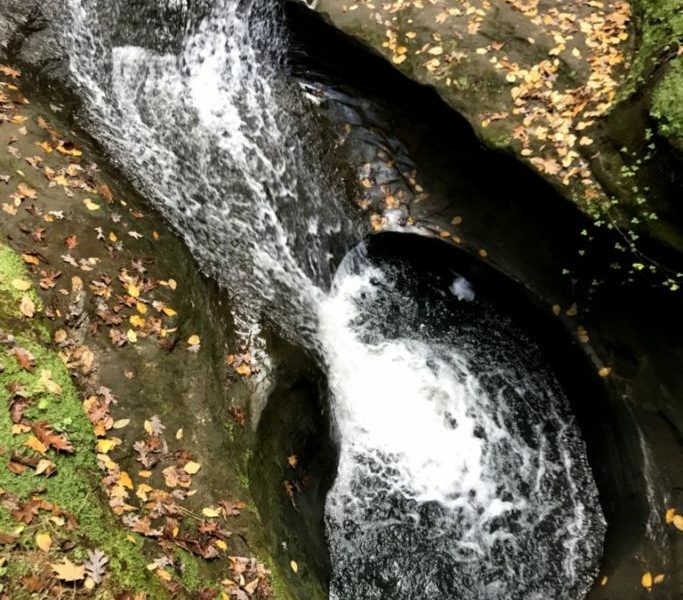 You find neat features such as the Devil’s Bathtub, Sphinx Head, Upper Falls, Lower Falls and Old Man’s Cave. 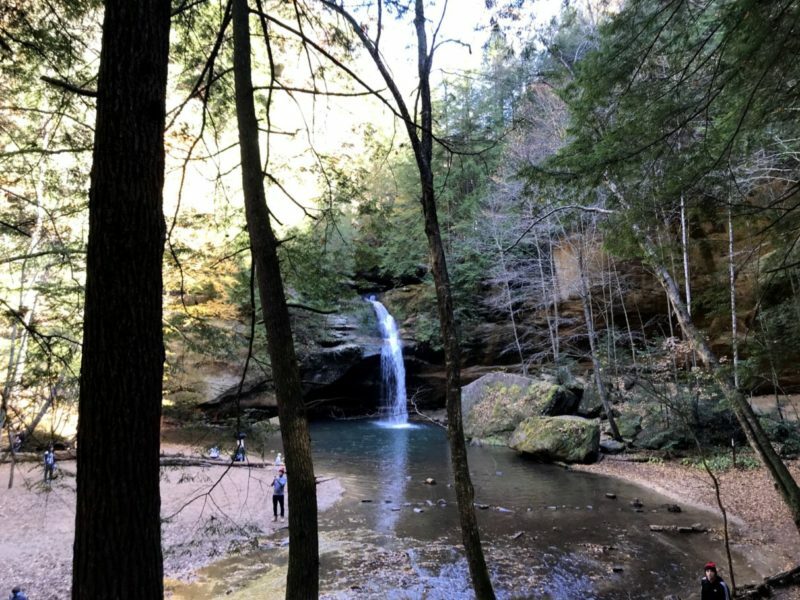 The Visitor’s Center for Hocking Hills State Park is located here, It is currently under construction with plans to reopen Spring 2019. 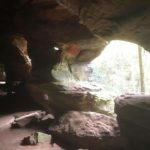 Old Man’s Cave is named from Richard Rowe who lived in the large recess cave of the gorge. 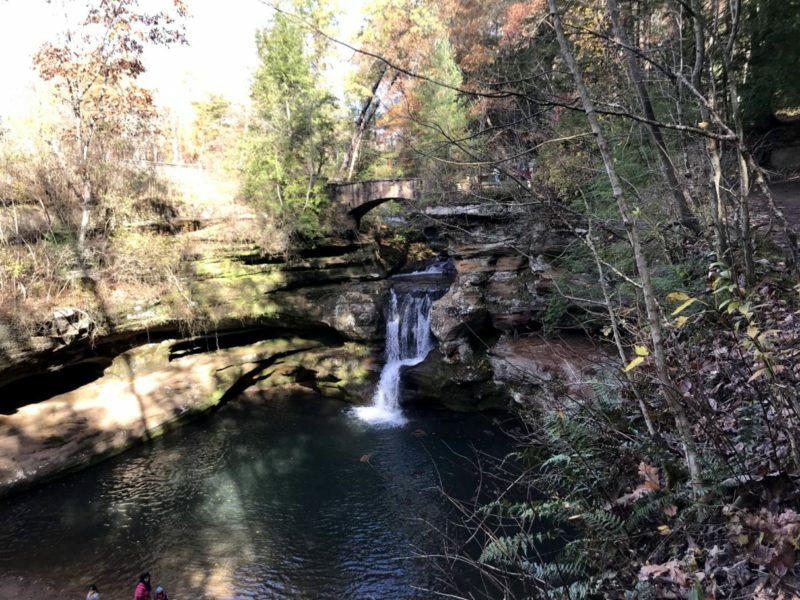 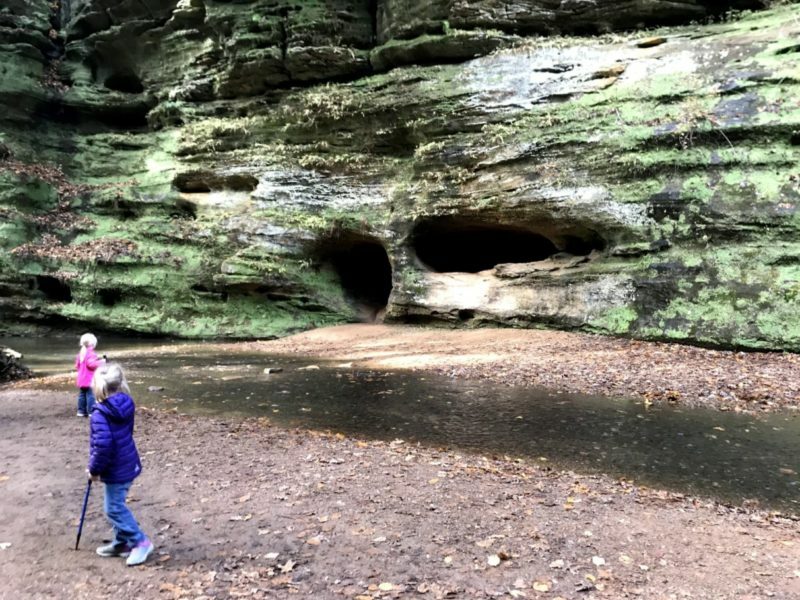 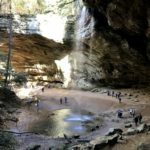 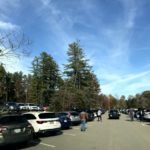 The Grandma Gatewood Trail begins its six-mile course connecting three of the park’s areas: Old Man’s Cave to Cedar Falls to Ash Cave. 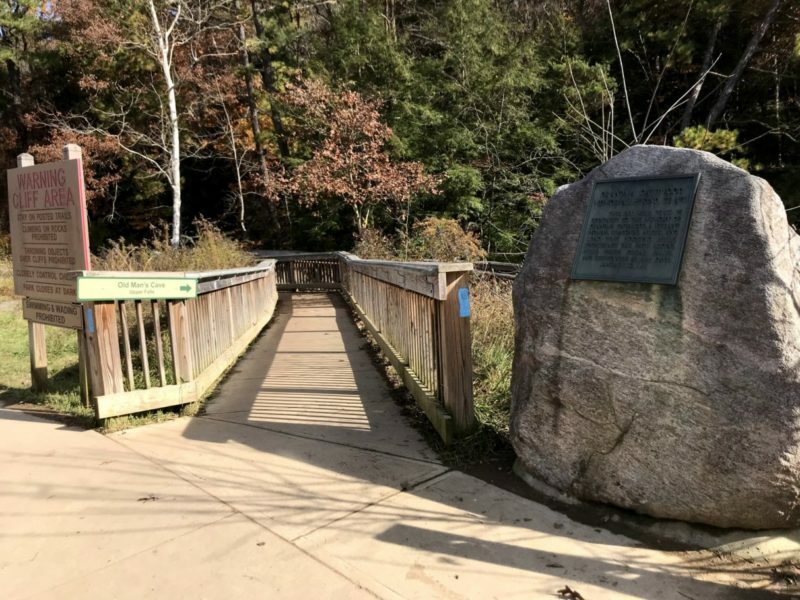 This same trail has been designated as part of Ohio’s Buckeye Trail as well as part of two national systems – the North Country Scenic Trail and America’s Discovery Trail.